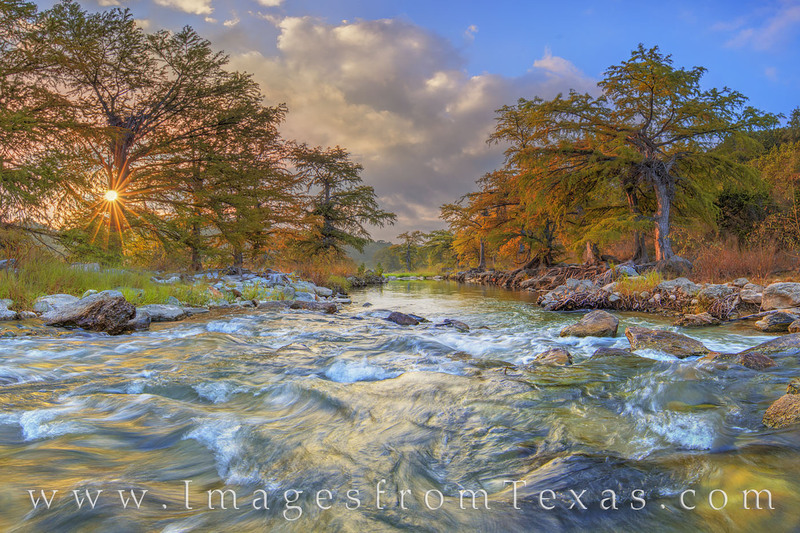 Glorious morning light welcomed me on this October sunrise along the Pedernales River in the Texas Hill Country. The soft light added a tint of orange to the cypress, making them appear ready for their Autumn colors. I had to get a little wet in this image. Standing in the middle of the river will do that! Photo © copyright by Rob Greebon.